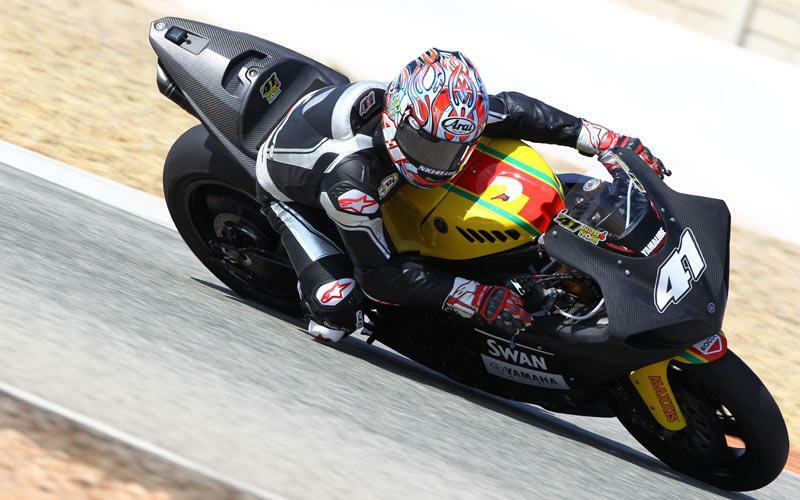 Rapid Solicitors Kawasaki and Swan Yamaha have today (Sunday) completed their pre-season test at Cartagena as the teams now pack up and head to Almeria for their final track time in Spain before returning for UK tests later this month. 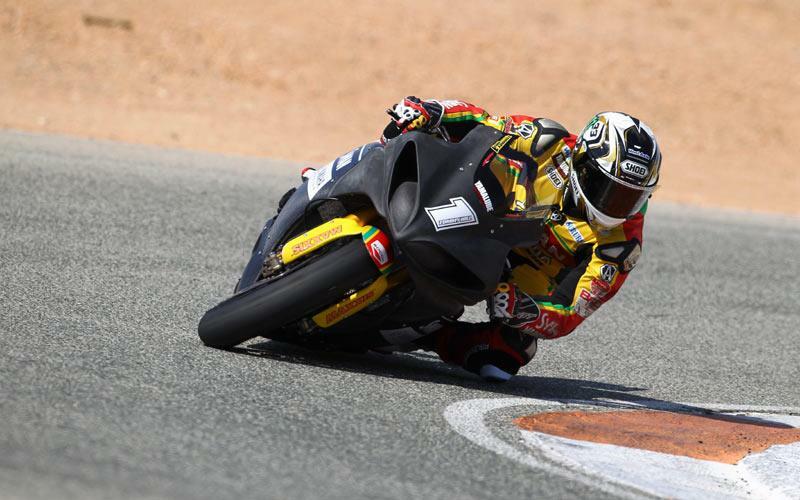 Reigning champion Tommy Hill has been feeling confident of the progress the team had made already despite a crash on the opening day; the Swan Yamaha rider admitted he was able to run similar lap times to last season and today successfully tested a new specification engine. Haga continued to adapt to the new Yamaha as he prepares to make his championship debut and the Japanese ace believes that they will be fully set for the opening round of the season at Brands Hatch. Hill said: "Today we basically spent time on trying a new spec engine and made a few adjustments really just to develop the engine and the overall package. It felt good and we now know the direction we need to head in. "We will start to look at testing possibly a few chassis set ups and changes to make a step forward again now in Almeria but we are happy." Haga said: "Today we continued to make a better suspension setting but we were not getting as much grip so we still need to find a better feeling. Now we go to Almeria for our next test for two days and we will still try and find a good set up. "I am not worried though because I know this is a good team with experienced crew and the Yamaha is a good bike. I think one hundred percent we can find a good setting before the race at Brands Hatch." Team owner Shaun Muir concluded: "We are very happy with how this test has gone and the pace we have been able to run after two and a half days on track so we know that the Yamaha will be competitive. "I am really pleased with Tommy and what he has achieved in the time we have been here and for Nori, how well he has adapted to a new team, bike and track. He has been getting more comfortable on the Swan Yamaha and we are now looking forward to Almeria." The Rapid Solicitors Kawasaki team of Shane 'Shakey' Byrne and Stuart Easton also reported a successful test, despite both riders suffering small crashes before lunchtime on the final day. Byrne continued to get to grips with the Kawasaki whilst Easton has continued his progress as he spent his first week back on a bike after almost ten months away recovering from injury. Byrne was still be feeling sore from yesterday's high-side but in determined style he pushed ahead with their programme and completed the full day on track. Team manager Paul Risbridger said: "It has been a good test for the team and we have made good progress. Both riders unfortunately slid off today but they didn't do too much damage and they were relatively low speed. "Everything has been working well and the boys have been using this test to get things just the way they like them and fine tune the bikes from there. “Shakey mainly focused on suspension today and has been feeling happier now he has had some time on the bike. We now have another test in Almeria and we are happy; it isn't perfect yet but we haven't finished and there is still a lot that the team can look at once we return to the UK. We can then plan ahead for the UK tests as there is still more to come."